Auctioneers will bring a record 224 properties to market next month. ALLSOP SPACE WILL bring a record 224 properties to market, including two pubs and a former schoolhouse, in its next auction on May 2. Among the properties on the block is this former schoolhouse in Castelcomer, Kilkenny, which has been converted into a three-bedroom house. 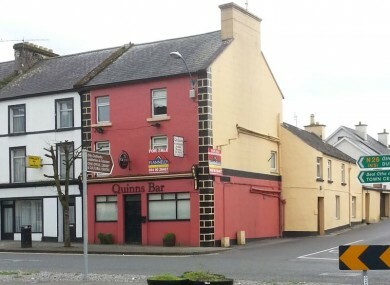 There’s nine apartments for sale at a total of around €250,000 in Athenry. Anybody missing the student life can pick up four apartments in the Thomond student village in Limerick. Director of auctions Robert Hoban said that the May auction showed the emergence of a two speed property market, with prices climbing rapidly in urban areas and stagnant or falling in rural parts of the country. In sharp contrast, competition in cities, especially Dublin, Galway and Cork, is on the up. Hoban said that the volume of properties going up for auction was such that it could require the auctioneers to split the process over two days, a step it has never taken before. Hoban said that Allsop hopes to complete 1,200 transactions in 2014, a 216 per cent increase on last year, with a total value of €180 million. Lots on offer at the auction will include six apartments in Dublin 7 with a reserve range of €400-450,000, and an office block in Dublin 7 that is home to Special Olympics Ireland and the Mirror Group, among others. Email “Fancy owning this pub or a schoolhouse? Get the pair for €165,000”. Feedback on “Fancy owning this pub or a schoolhouse? Get the pair for €165,000”.